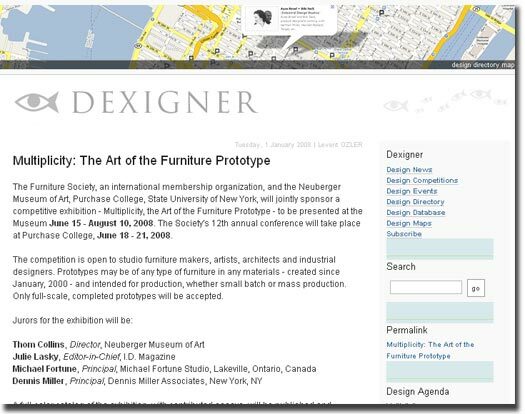 The Furniture Society, an international membership organization, and the Neuberger Museum of Art, Purchase College, State University of New York, jointly sponsored a competitive exhibition - Multiplicity, the Art of the Furniture Prototype. The competition is open to studio furniture makers, artists, architects and industrial designers. Prototypes may be of any type of furniture in any materials - created since January, 2000 - and intended for production, whether small batch or mass production. Only full-scale, completed prototypes will be accepted.